Unicorns for your little ones? What better than a unicorn cake. 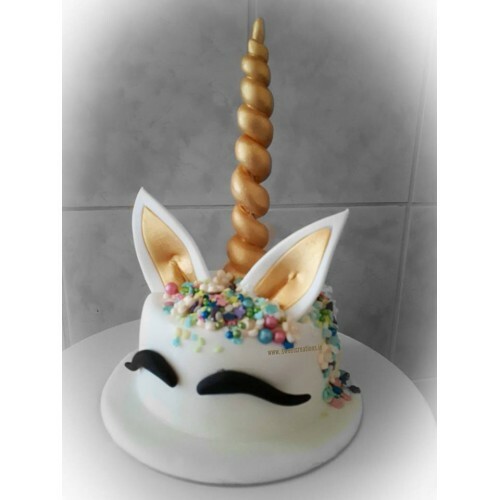 Make your own using this fantastic kit, which includes a gold unicorn horn, golden unicorn ears, 2 black eyelash pieces, and 50g of sprinkles and flowers. Simply attach the horn and ears into your iced cake, then add the sprinkles to form the mane and fringes. All pieces are handmade and created at Sweet Creations. Finally add the eyebrows to complete the look.